The diving center is located in the city center , a short distance from the train and coach stations, and at 19 Norman ( under the square Norman ) . 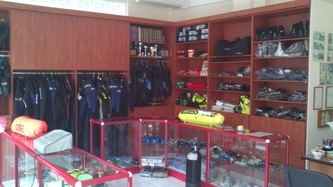 In our suitably equipped place in a pleasant environment and highly ... diving (! ), are made ​​primarily theoretical courses of the school . 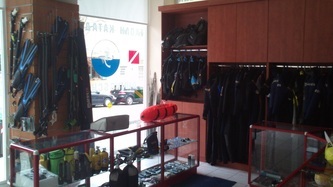 Also, you can purchase from our store the most modern diving systems and accessories. In addition, in our facility is operating a service and repair diving equipment department, in accordance with European standards. 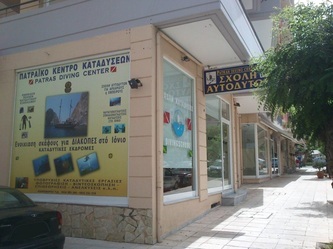 Diving in Patras is interwined with Patras Diving Center and the name of Christos Karaflos . Christos Karaflos served as a commando in the Hellenic Navy and was also trained in the U.S. Navy Seals. 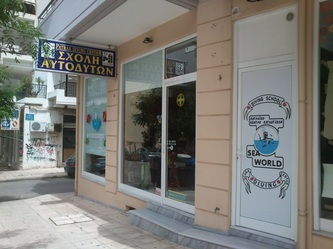 In Patras, works as a professional diver since 1979 , and in 1984 opened the first recognized by the Ministry of Shipping, diving school ,''PATRAS DIVING CENTER'', in Patras . 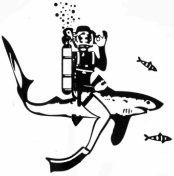 From then until today, Christos participates in various applications, "missions" and trainings with diving content, discernable always about the high level of knowledge and efficiency, both for his own and his students . Through his work as a professional diver , but also the limitless love for the liquid element and its secrets , explored most of the Gulf of Patras (and not only!) helping simultaneously in finding multiple objects and antiquities , while discovered the location of several shipwrecks that are currently known to the general diving public in Patras. The experience in the marine element , as and in the education, and the many remarkable students - divers of our school are the most reliable guarantee for the quality of education, but also the safety of our new students. 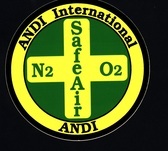 Also, we should mention that since 2006 , the instructors of Patras Diving Center , following the developments in the field of diving, are instructing according to modern programs of ANDI and based on the National Standards of Diving Leisure to ensure quality of service.